Learning about geography doesn’t have to be boring for the kids. In fact, you can make a continent fortune-teller! The continent-fortune teller is one of the activities you’ll find in 100 Fun and Easy Learning Games for Kids book by authors, and creators of The Educators’ Spin on It Amanda Boyarshinov and Kim Vij. Disclosure: I received an advanced copy of this book from the publisher for the purpose of reviewing it. I did not receive monetary compensation for this review. All opinions are my own. 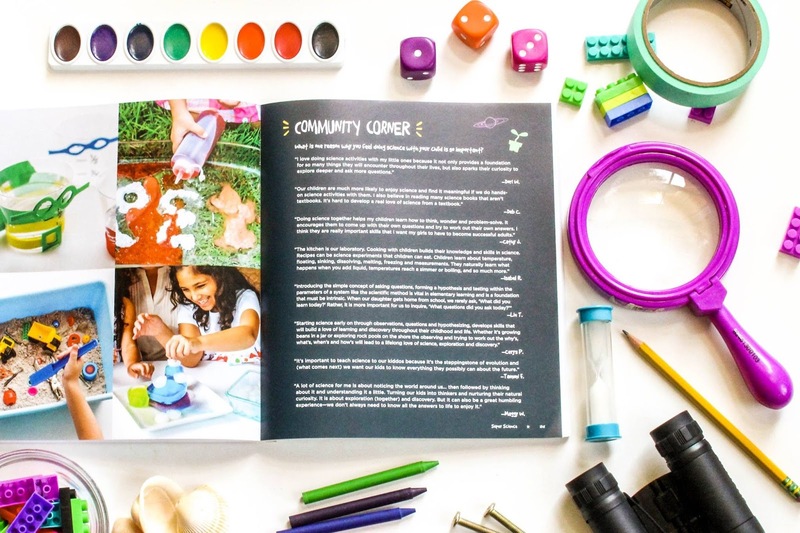 This activity has been reprinted with permission from the publisher from book 100 FUN & EASY LEARNING GAMES FOR KIDS for purposes of this post. We love maps, and globes; and I’m constantly asking my son questions about a country or map. Therefore, choosing this activity to start with was a no-brainer. I am using the continent fortune-teller to sharpen his skills on information he may have already forgotten. What I love about this activity is that you can adapt it to your child’s learning level. You can read the instructions on how to make your own continent fortune-teller below. 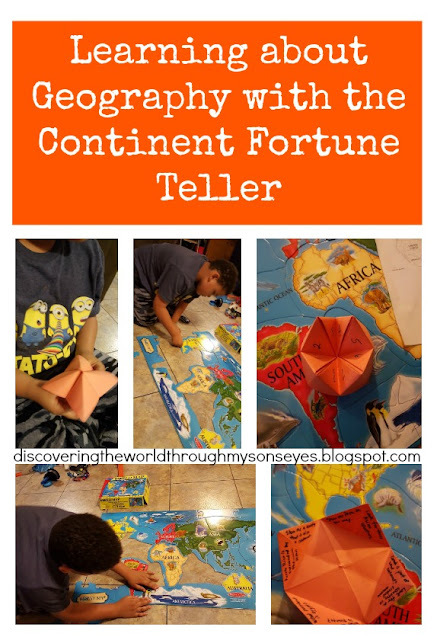 We pulled out our giant world puzzle map and had fun with the fortune teller. We certainly enjoyed doing this activity, but I have to admit there are so many fun learning activities from which to choose from! All of the activities are easily adaptable. We will have our long summer days filled with fun learning activities from 100 Fun and Easy Learning Games for Kids book. 1. Fold the square paper in half at both diagonals. Crease and unfold. Fold the square again at each middle. Unfold. 2. Bring each corner evenly to the middle of the square. 3. Flip the square over and fold the corners evenly into the middle of the square again. 4. Fold in half and flip over. 5. Place your fingers into the slits and open. 6. Open each triangle and write one of the following on each half: Find North America, Find South America, Point to Australia, Point to Europe, Find Asia, Find Africa, Point to Antarctica, Point and Name an Ocean. 7. To complete the fortune-teller, write numbers 1 to 8 on the inside triangles. 1. Player one places their fingers in the fortune-teller and opens to show four numbers. 2. Player two picks one of the four numbers and player one moves the fortune-teller back and forth that many times. 3. Player two picks another number. Player one then opens the fortune-teller to read their task. 4. Player two completes the task using the map or globe. 5. The game repeats with player two holding the fortune-teller. – Write famous landforms, major cities or important landmarks on the inside triangles. – Use this game to practice math facts. Write a number sentence on each triangle for kids to solve before moving back and forth. – Write sight words on each triangle. Move the fortuneteller the number of letters in the word. Write a sentence using that word on the inside for them to read out loud.